Magnum on driver's side and smooth style 1800 beside it. They would have been fitted with pins into holes with plastic inserts. Hmmm... I wonder if the badge on the boot was only fitted to 2300 cc cars? 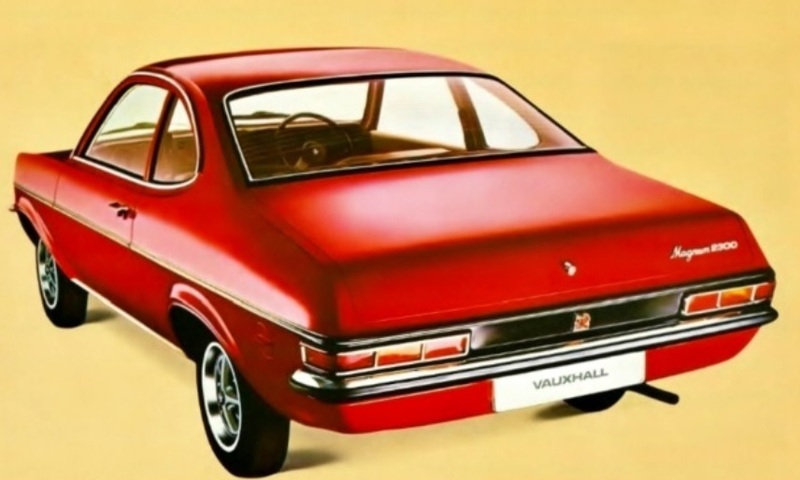 Here'a an 1800 Automatic in a brochure with the 1800 badge fitted. I'll try to get a chance to have a look tomorrow, I've got a Magnum tailgate that I think still has the badges on. 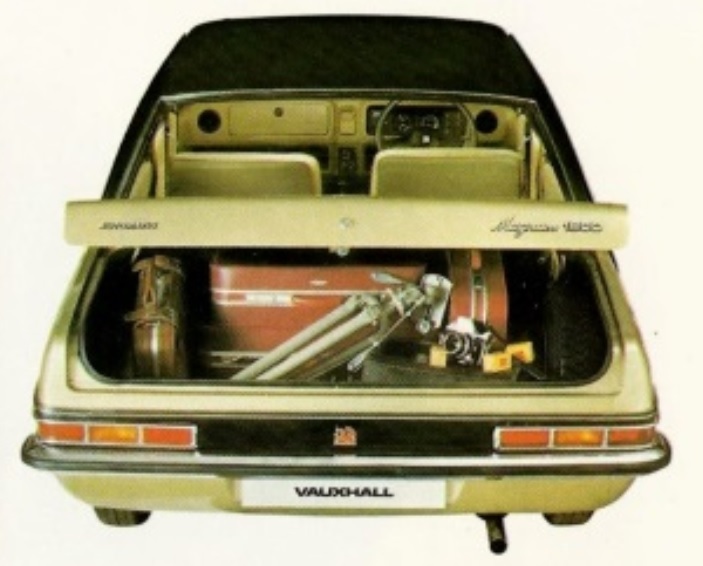 I've just checked the parts book and it looks like a 1800 badge was listed for the boot lid of an 1800 Magnum and Viva. I think it is impossible to say what is correct or not. It all comes to buildyear, bodyshape and engine and to get some logic in all is impossible I guess. StefanM wrote: I think it is impossible to say what is correct or not. It all comes to buildyear, bodyshape and engine and to get some logic in all is impossible I guess. You're probably right - and what badges were available when the car went down the line probably played a part, too.